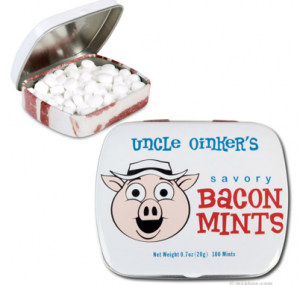 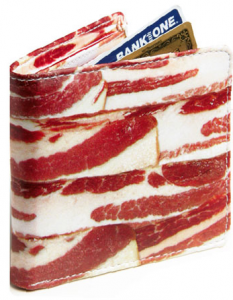 5, Bacon Wallet – For those that think that pigs are so money, what better way to bring home the bacon than a tasteful wallet. 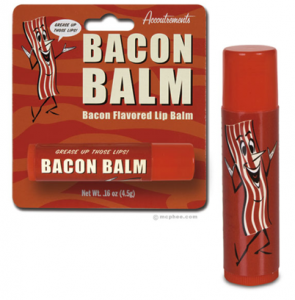 I don’t think it comes in scented versions yet, but who knows. 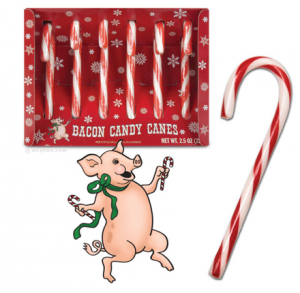 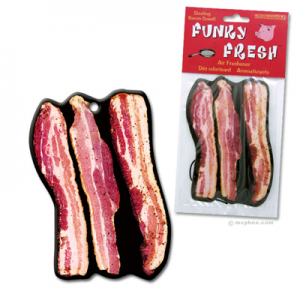 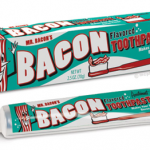 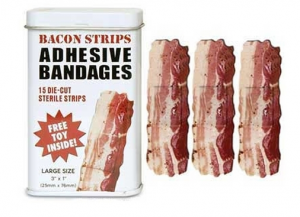 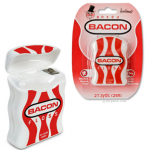 4, Bacon bandages – Continuing the pork gift theme, why not cover that nasty knee wound with a nice bit of streaky. 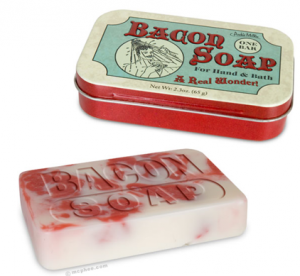 Every one knows that salty, bacon fat keeps nasty infections at bay. 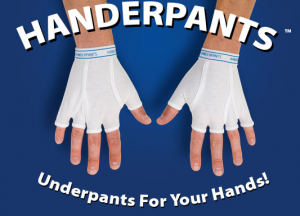 3, Handerpants – For those of you wanting to keep your extremeties toasty in winter, warm them with these fantastic, stylish handerpants – after all, you don’t want to be caught going ‘hand commando,’do you? 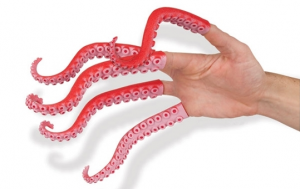 2, Finger Tentacles – Be the envy of your friends, by instantly transforming your digits into sea-life (well at least one that has possibly lost 3 tentacles in a boat propellor accident) with these ‘must have’ finger tentacles.’ Guaranteed to break the ice at parties when shaking hands with the host. 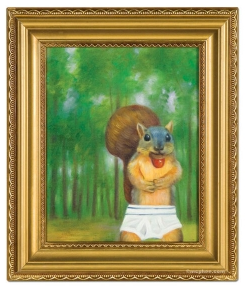 1, Oil painting of a Squirrel in underpants – Fed up of seeing naked squirrels constantly running across your lawn – we can’t do anything about them unfortunately but at least you can have more modest rodents inside your home, by hanging this beautiful one of a kind oil painting of a squirrel in underpants.I know where you can get some nice squirrel feet earrings too, actually!